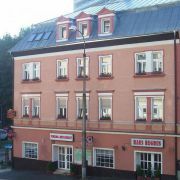 The hotel in the centre of the spa town Jachymov. We offer comfortable accommodation in double and triple rooms … More » . Each room has TV/sat and bathroom, Wifi free of charge. Restaurant. Sklibus 50m. Small mountain family hotel is located in Jáchymov in the Ore Mountains. The hotel has been completely renovated … More » in 2016. It is located less than 200m from the world-famous radon spa. 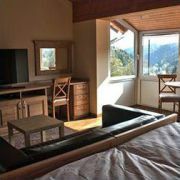 Location is ideal for walks, cycling trips, relaxation and winter sports. The database contains direct contacts to owners of accommodation in Jáchymov. Reservations are passed without any middleman and commission!